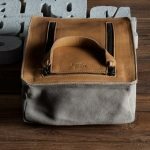 “Hard Gaft has released this amazing dopp kit as a part of their Driftwood collection. 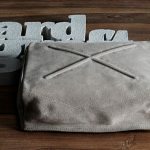 The kit is made up of premium Italian suede and cow leather – a combination that makes for an incredibly soft and durable product which will age beautifully over time. 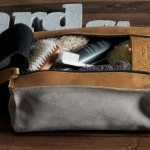 As the people over at Hard Gaft put it, this dopp kit stands out because of “the suede [that] feels beautifully soft and enhances the casual look that is relaxed, understated and masculine.” All in all, I think they nailed it on this one.